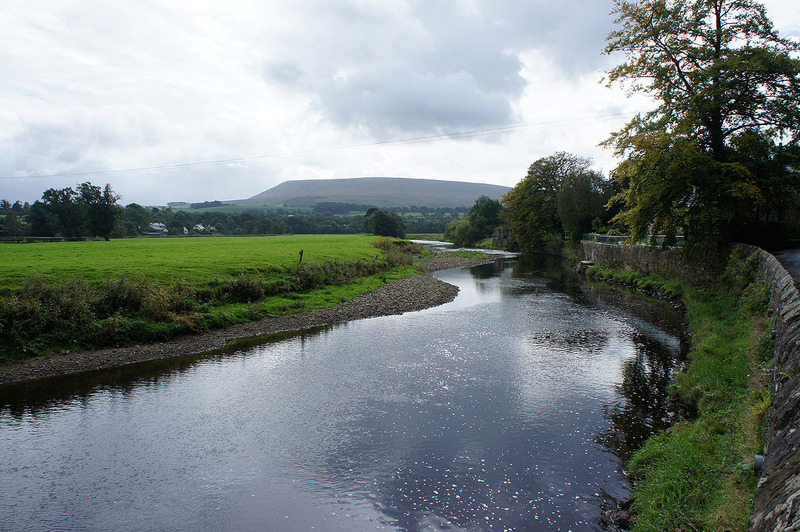 With indifferent weather forecast for today I decided to stay local and do a walk in the nearby Ribble Valley. 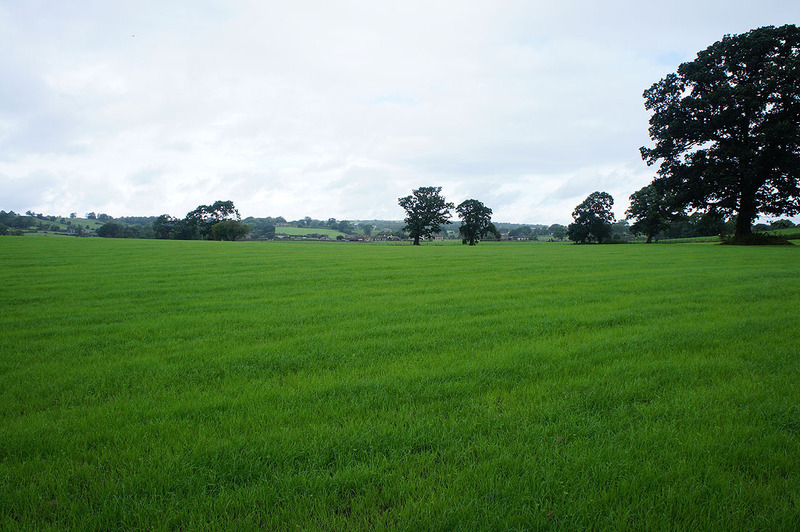 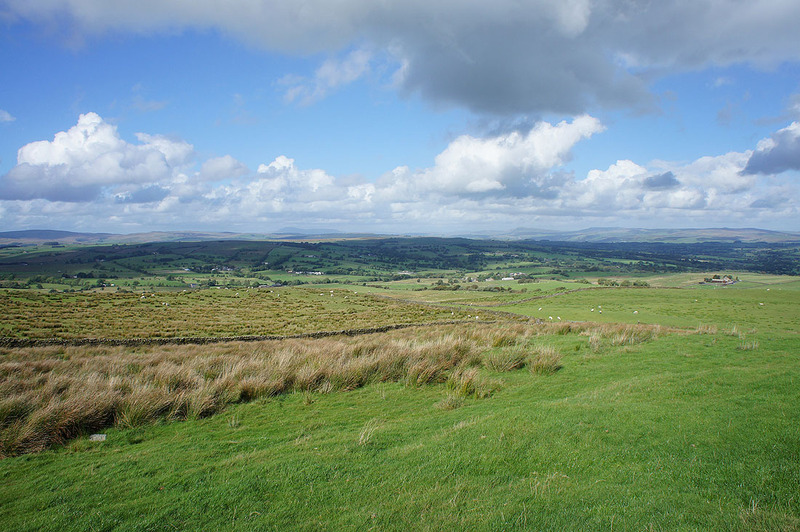 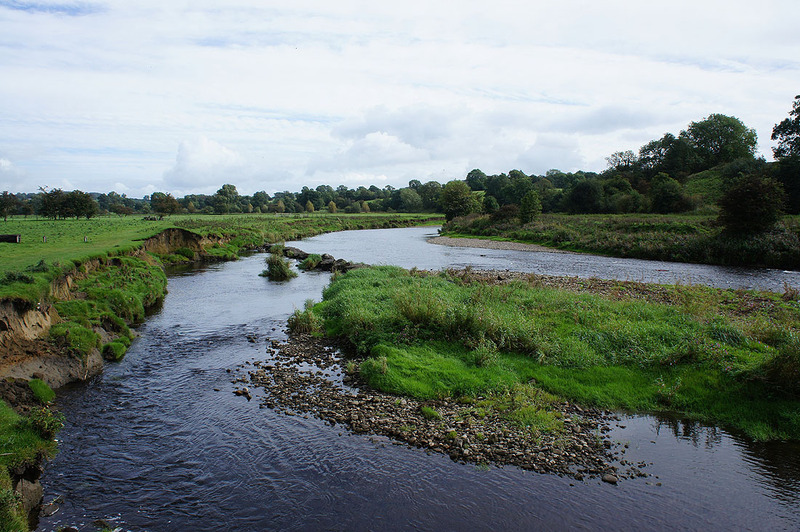 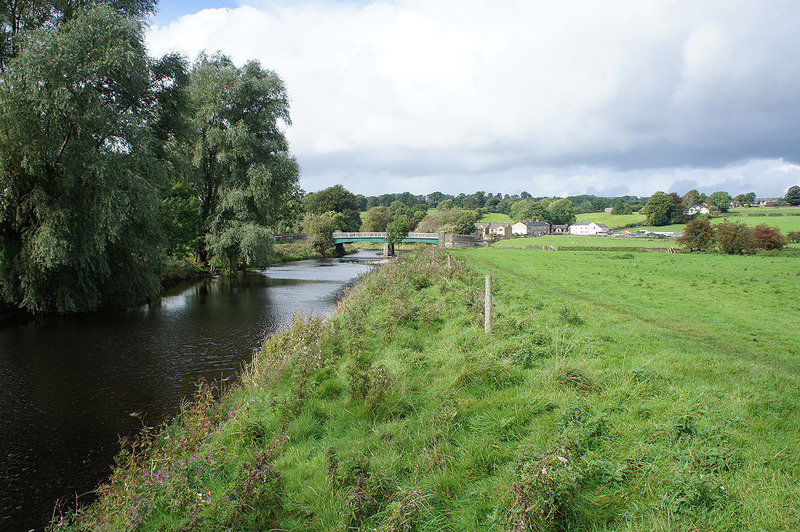 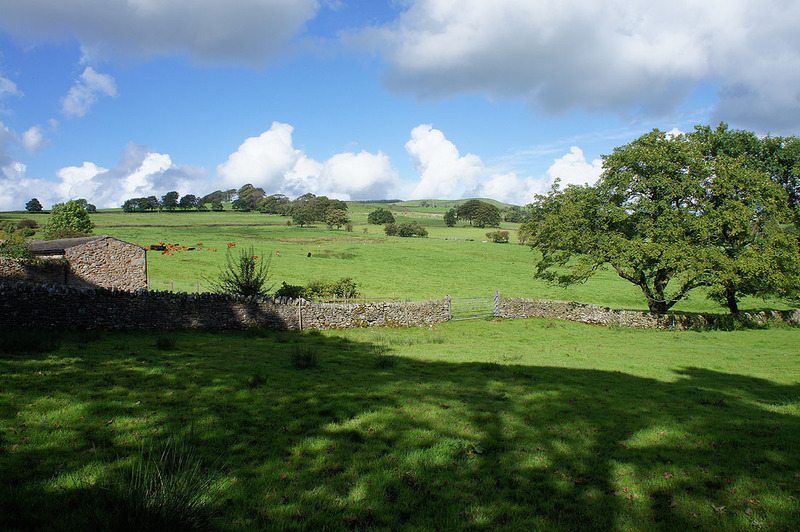 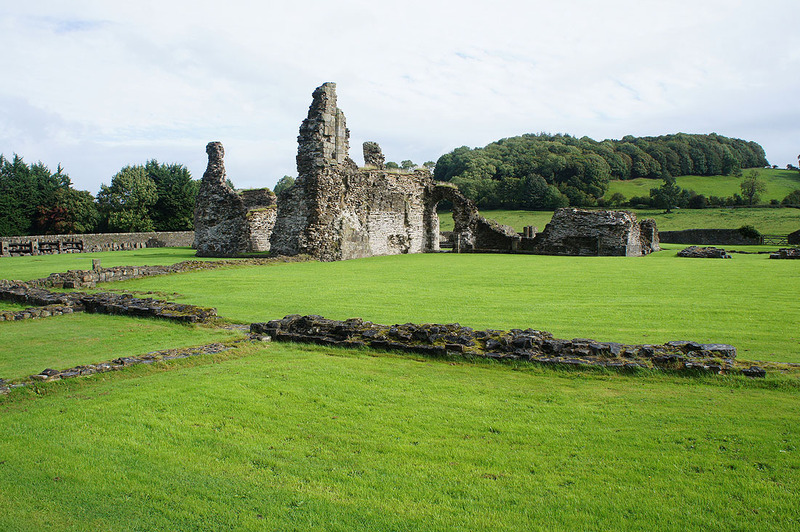 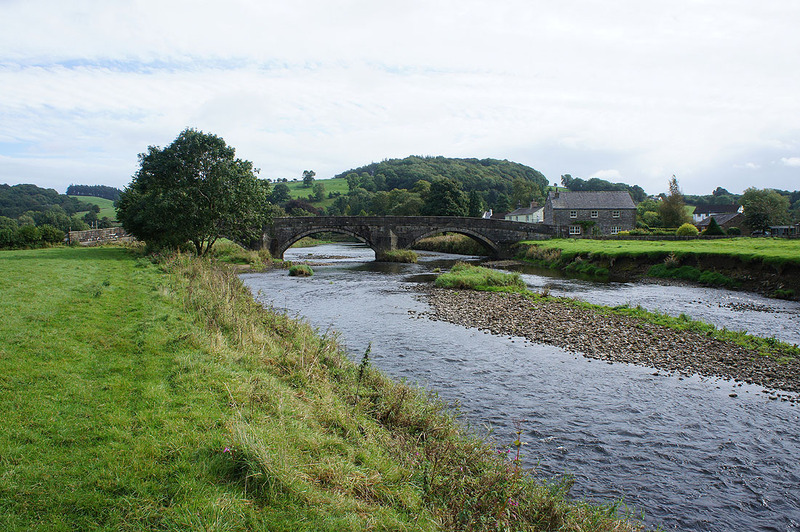 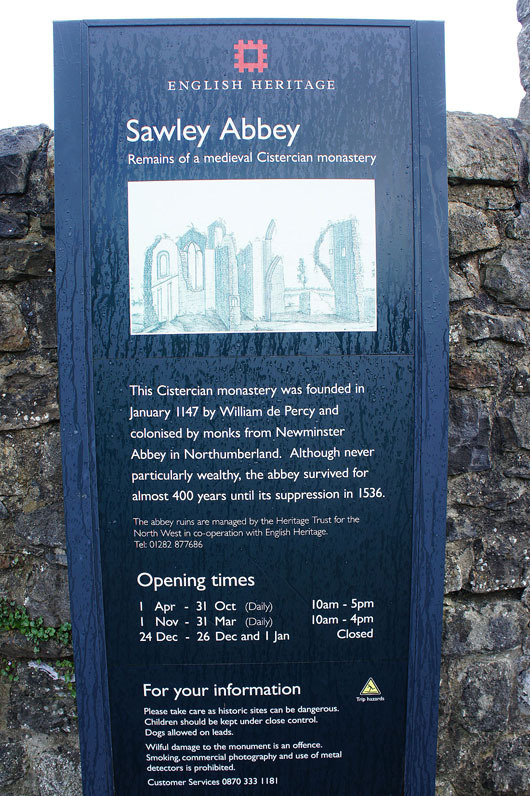 I worked out this route that would give me the opportunity to walk along part of the Ribble Way, visit the ruins of Sawley Abbey and enjoy views across the valley and beyond from Beacon Hill. 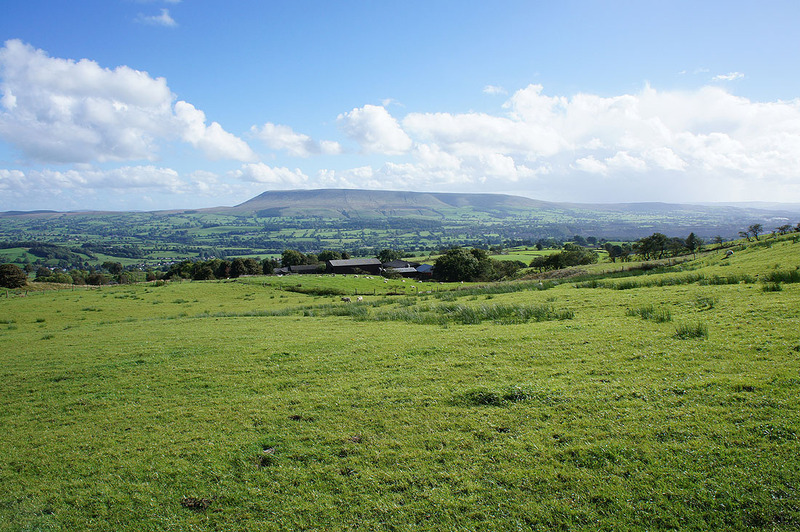 It's just a minor height on the side of Easington Fell but has a surprisingly good view. 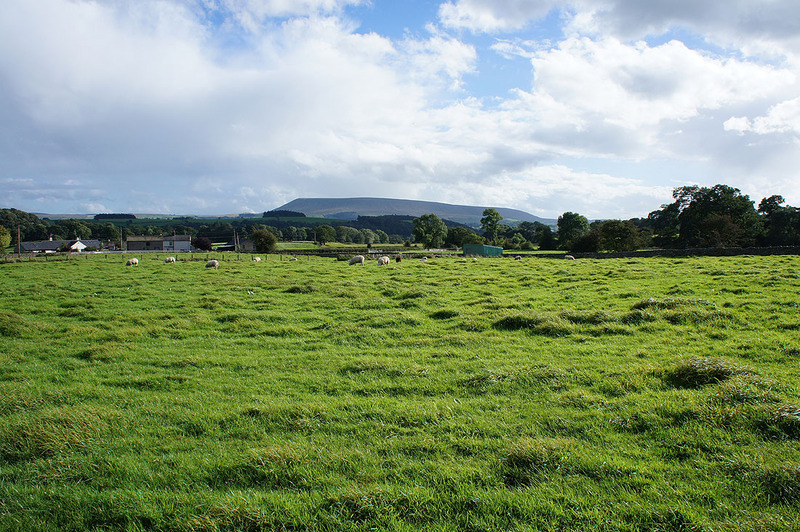 As I arrived in Bolton-by-Bowland at 1100 it was still trying to brighten up from overnight rain. 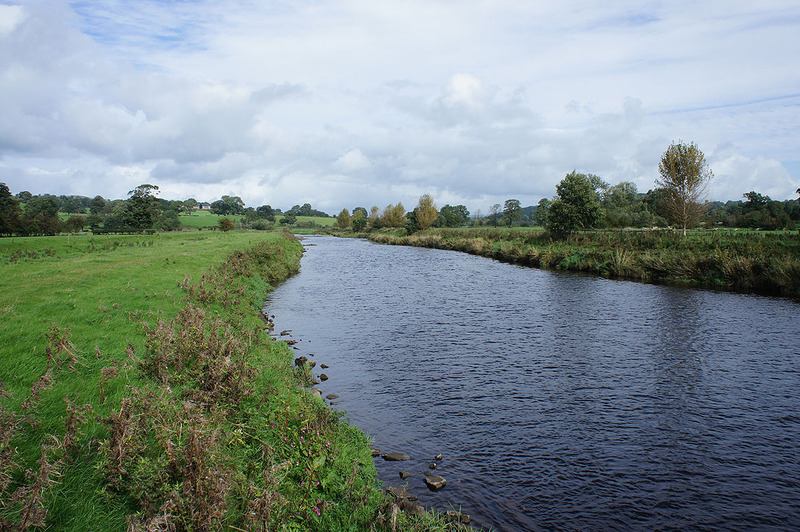 The walk to Sawley was done under grey skies and the odd shower but from then on it improved and the afternoon had some warm sunny spells, great visibility but windy. 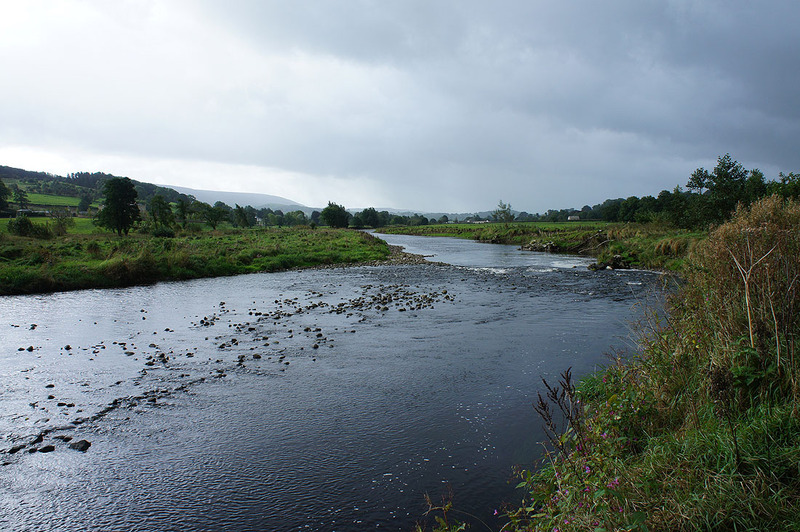 More showers were forecast to develop by the end of the afternoon but they didn't bother me. 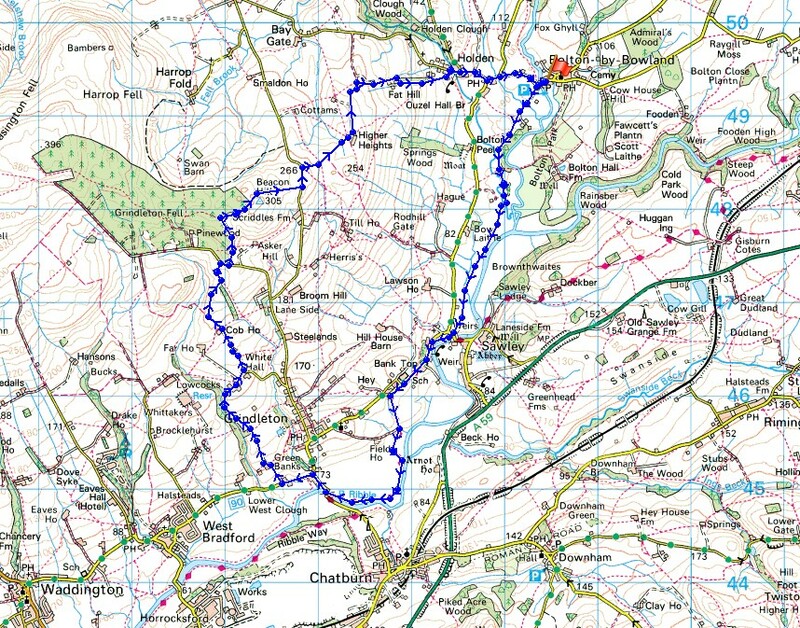 Compared to some of the walks that I've done recently this was a gentle stroll. 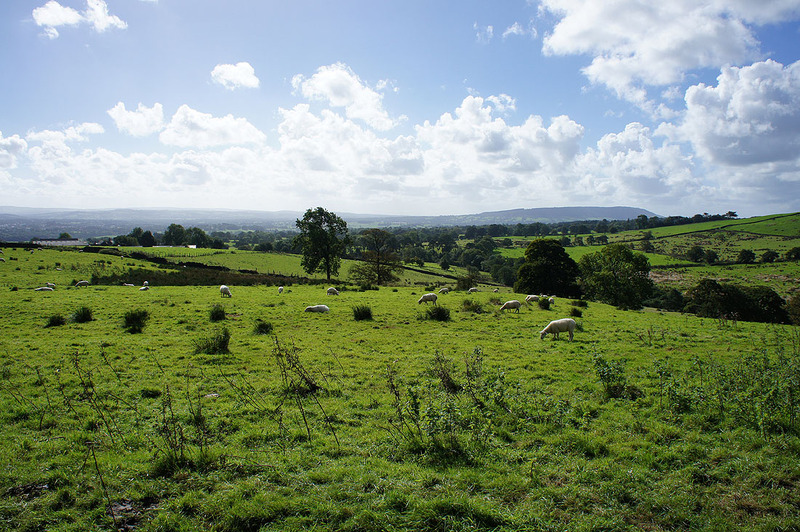 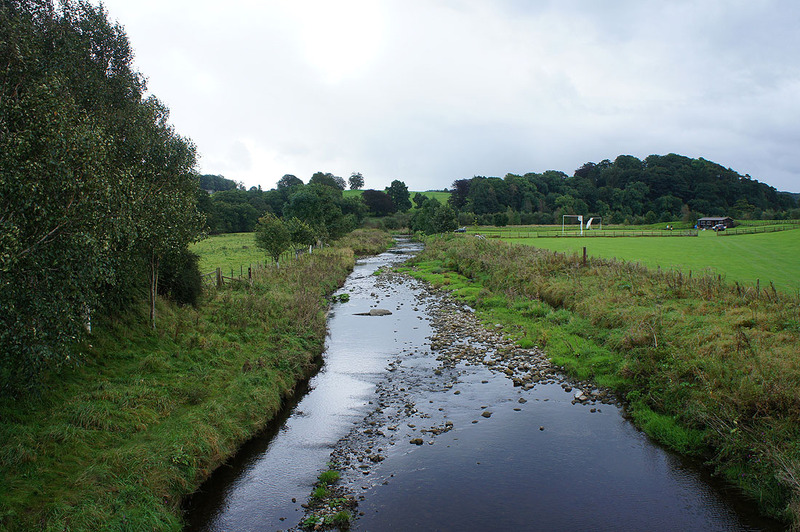 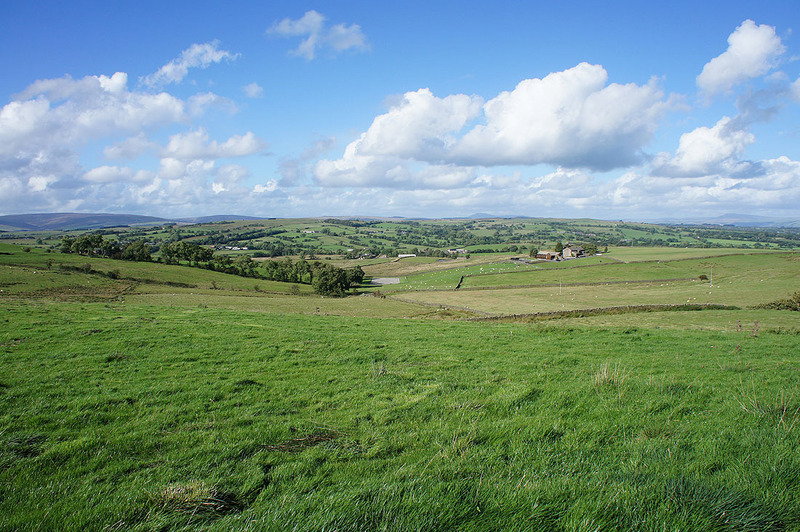 ​From the car park in Bolton-by-Bowland (free) I crossed Skirden Bridge and turned left onto the public footpath that follows a drive to some cottages. 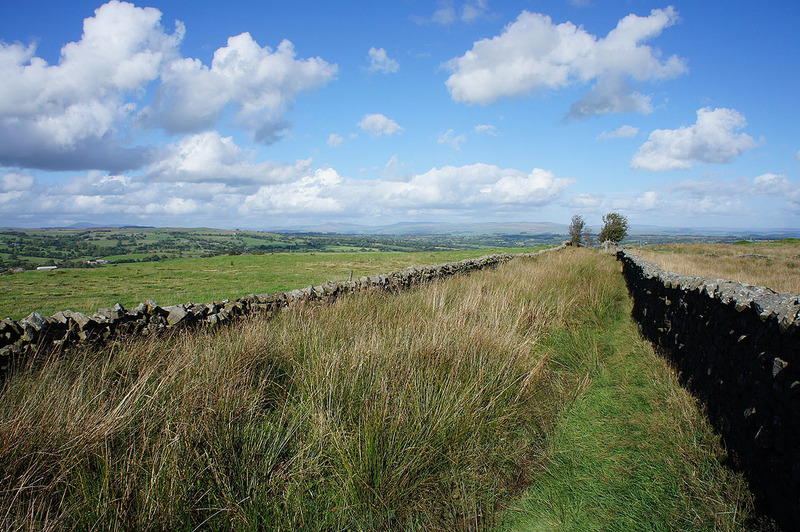 The path then leaves this and heads south by Skirden Beck, across Holden Beck and then by the River Ribble to Sawley Bridge. 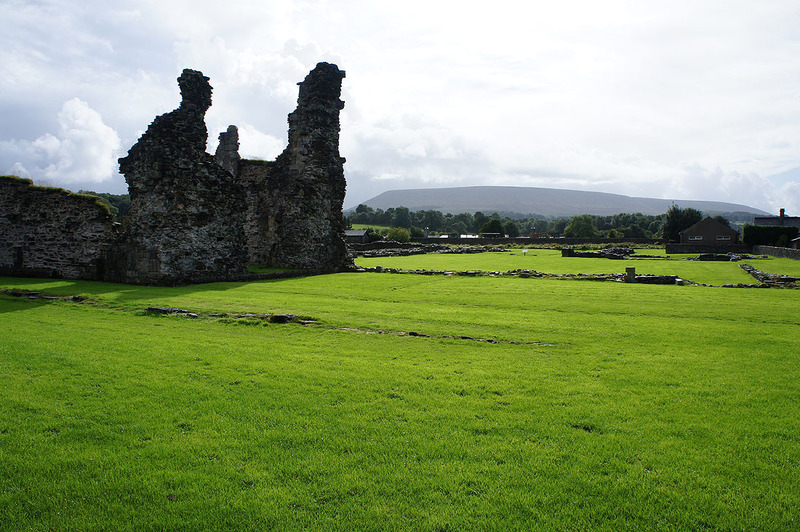 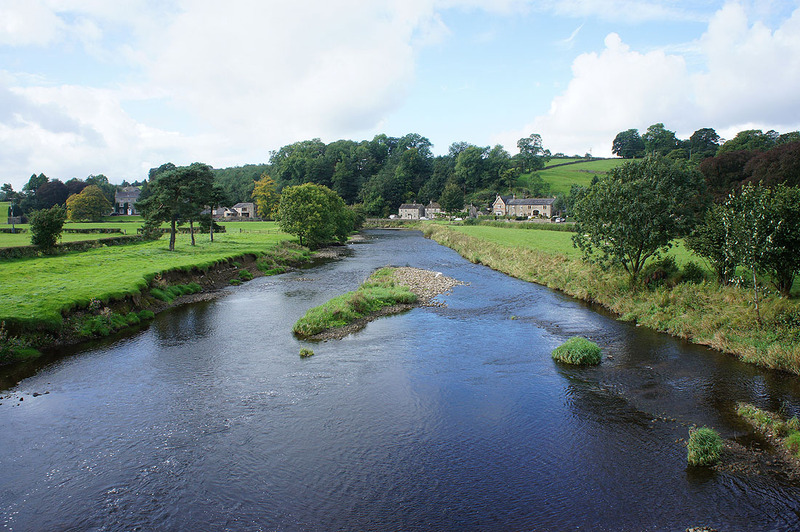 After having a look at the ruins of Sawley Abbey I returned to Sawley Bridge and took the trail of the Ribble Way. 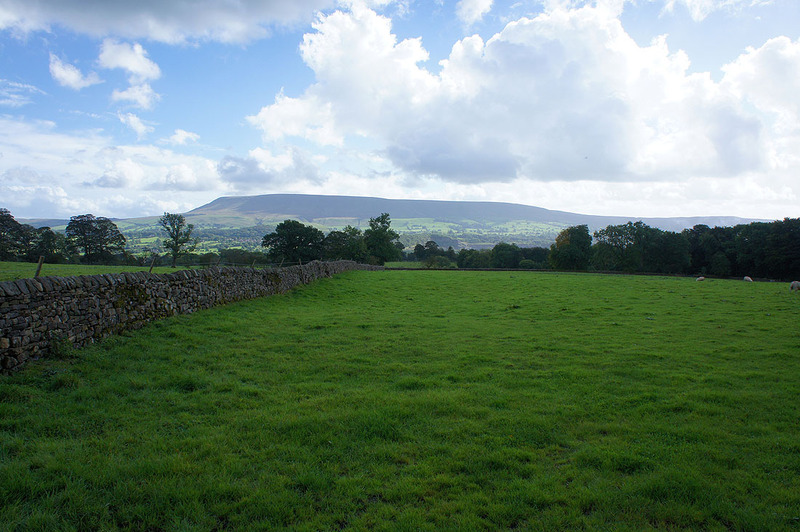 This took me west, briefly by the Ribble then up Sawley Road before heading back to the river to reach the road just south of Grindleton. 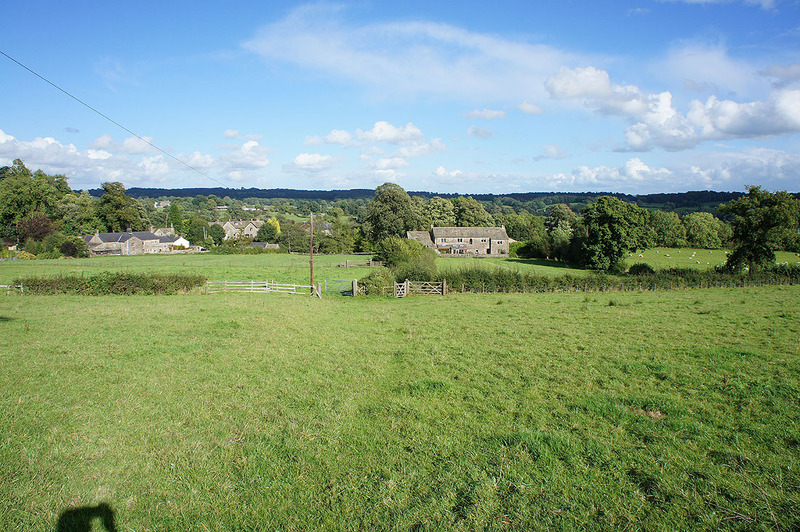 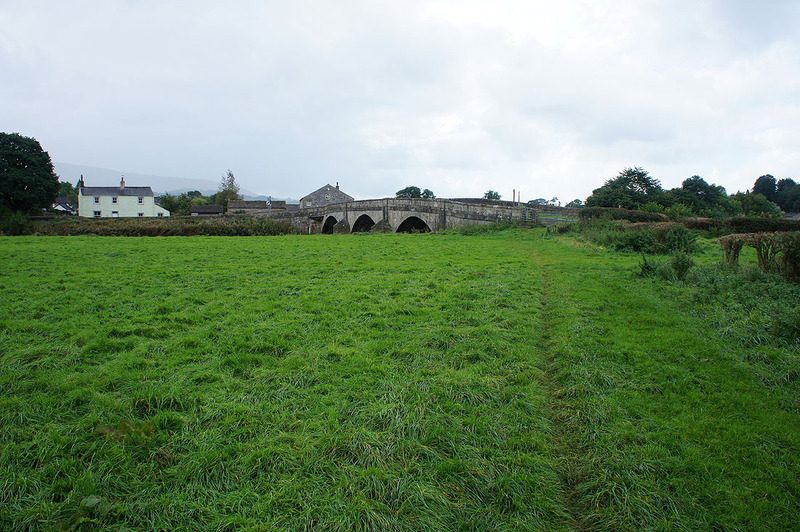 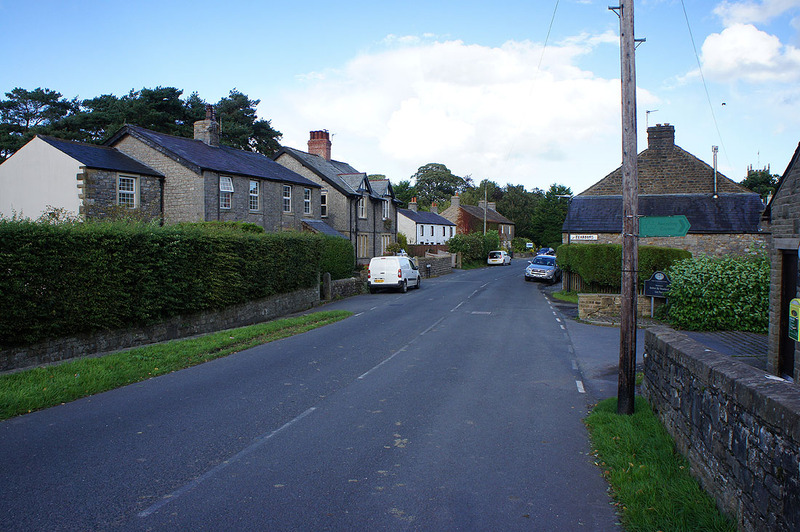 The trail was left here to walk north up the road towards the centre of the village, then left onto the road towards West Bradford. 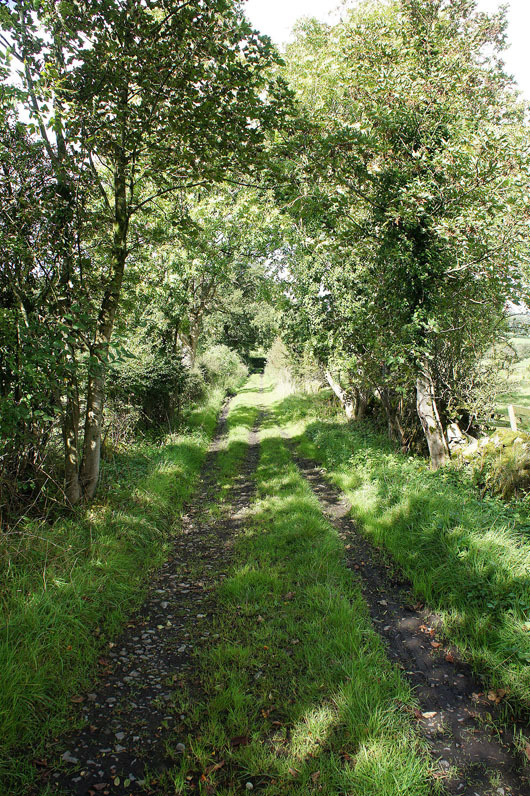 When I reached the bridleway of Green Lane this was followed uphill past the farms of White Hall and Cob House. 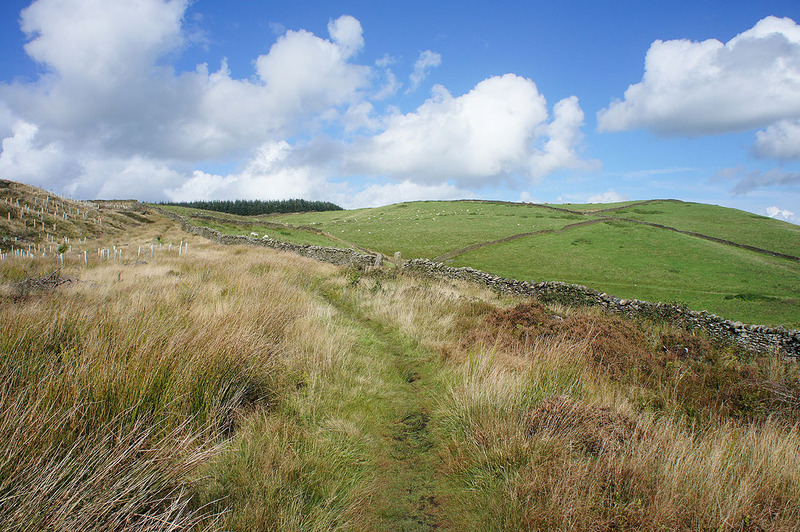 Past Cob House the bridleway forks, I took the right hand one to reach a lane below Beacon Hill. 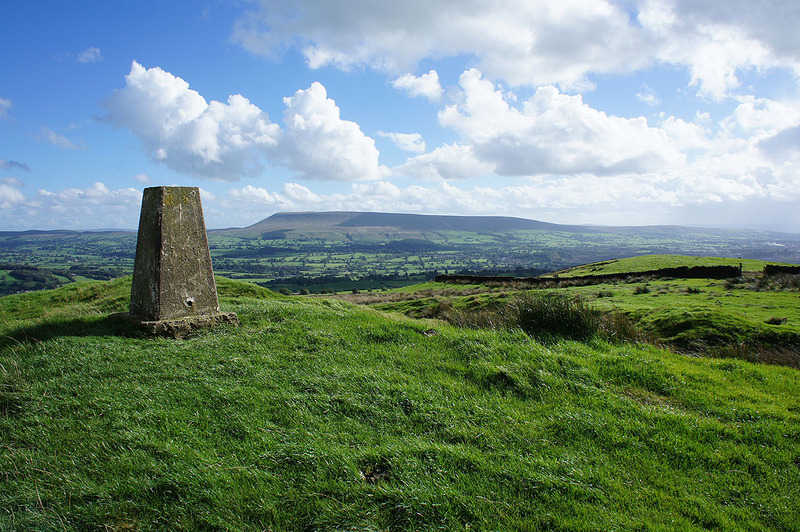 I turned right and there was a brief walk along the road to reach a footpath on the left that took me uphill to the track of Shivering Ginnel and the trig point on Beacon Hill. 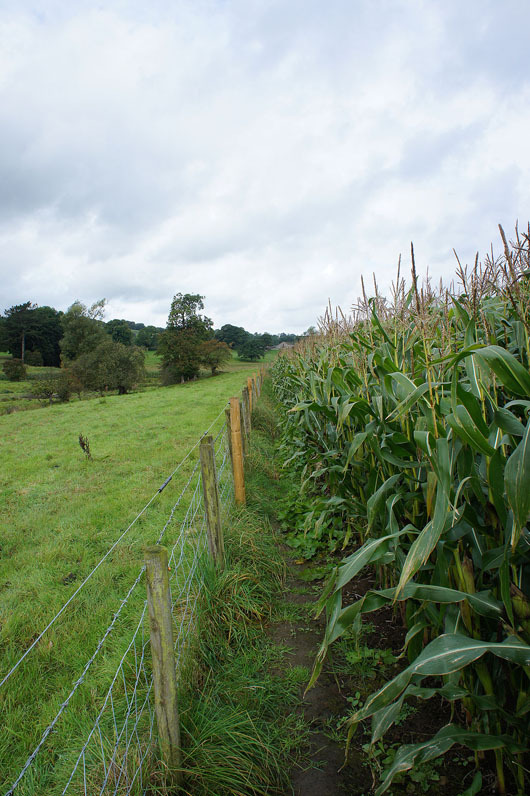 The footpath then continued east down to Smalden Lane, then after a short walk north along the road I turned right onto the bridleway to Higher Heights (this was very boggy in places). 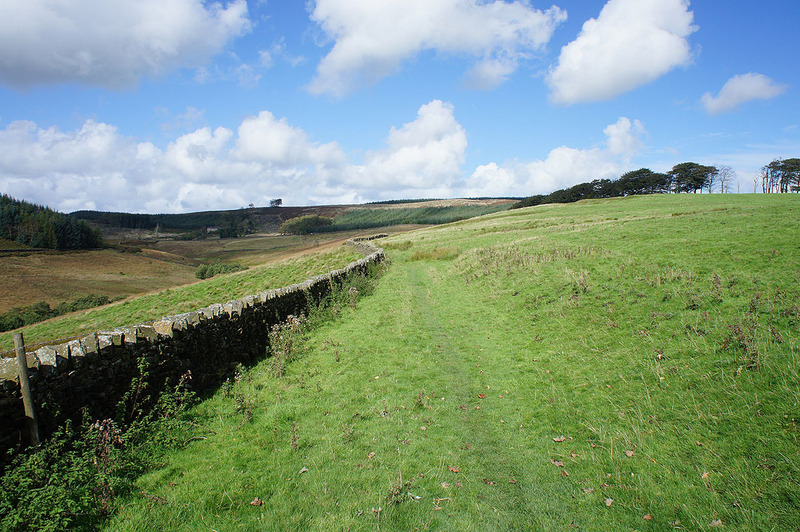 From Higher Heights I followed a bridleway north and then a footpath east, downhill past Priest Biggins and Fat Hill to reach the hamlet of Holden. 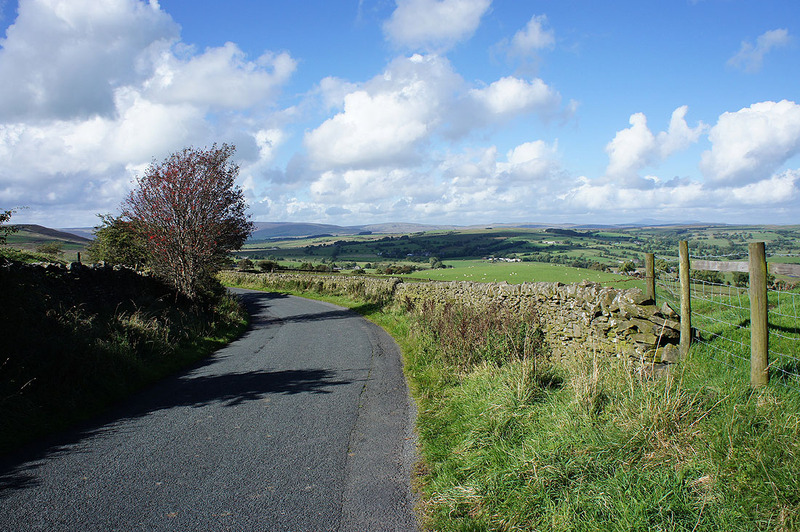 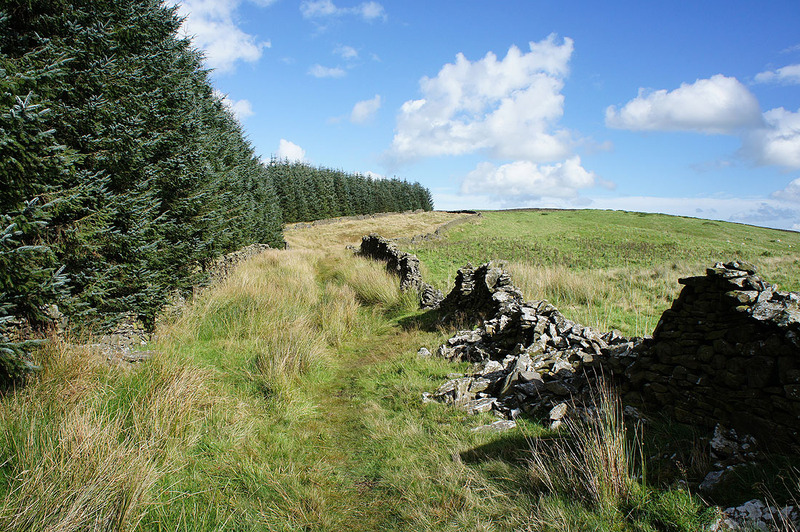 A walk along roads took me back to Bolton-by-Bowland. 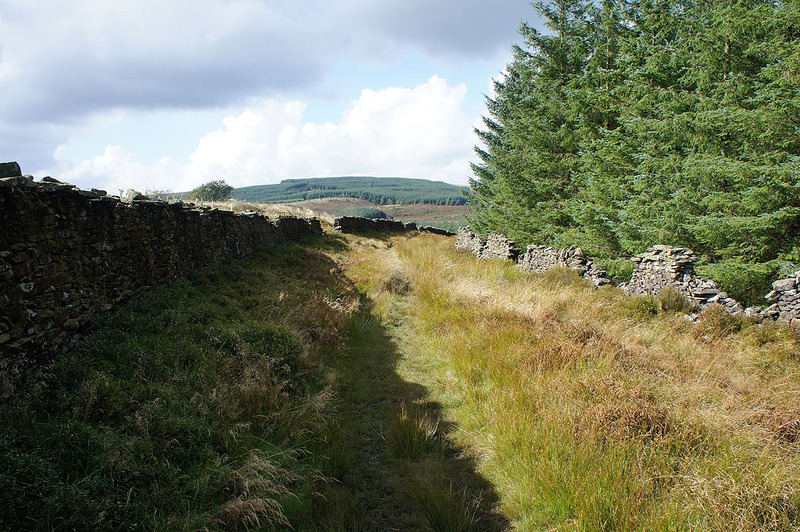 The footpath joined the intriguingly named track of Shivering Ginnel.. 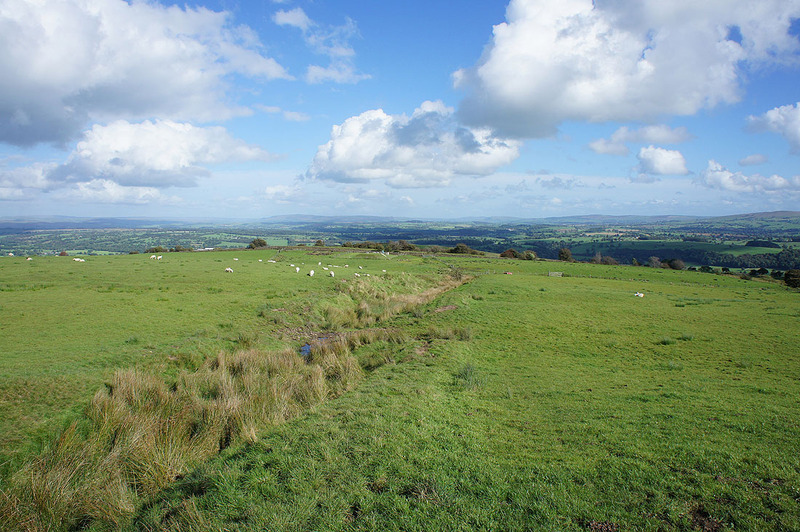 The bridleway I followed east from Smalden Lane was very boggy in places but it did give great views across the countryside to the north..
Shower clouds have started to develop during the past hour. 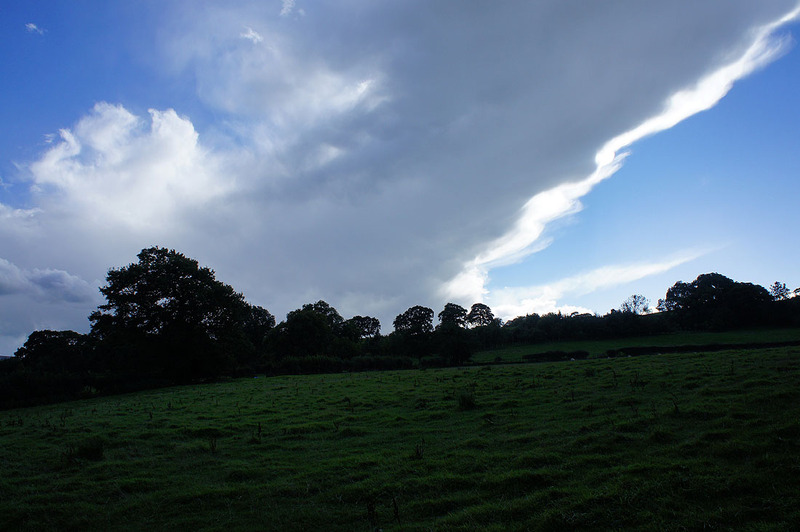 The anvil from a cumulonimbus cloud spreads across the sky. 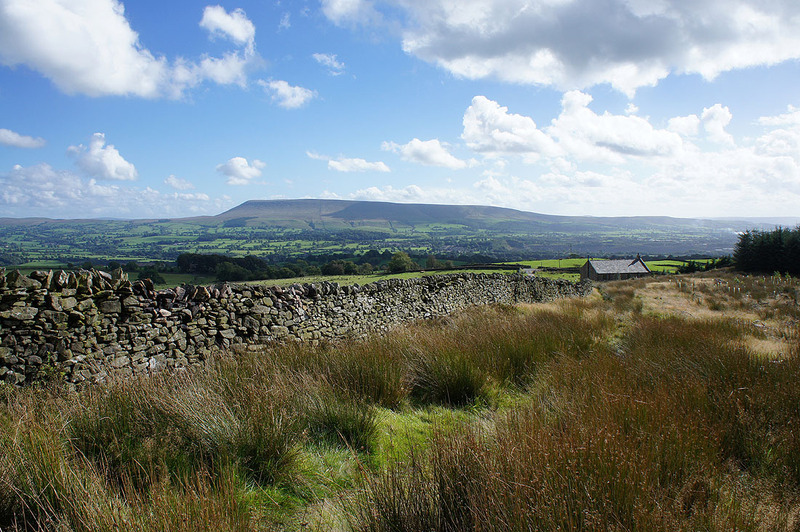 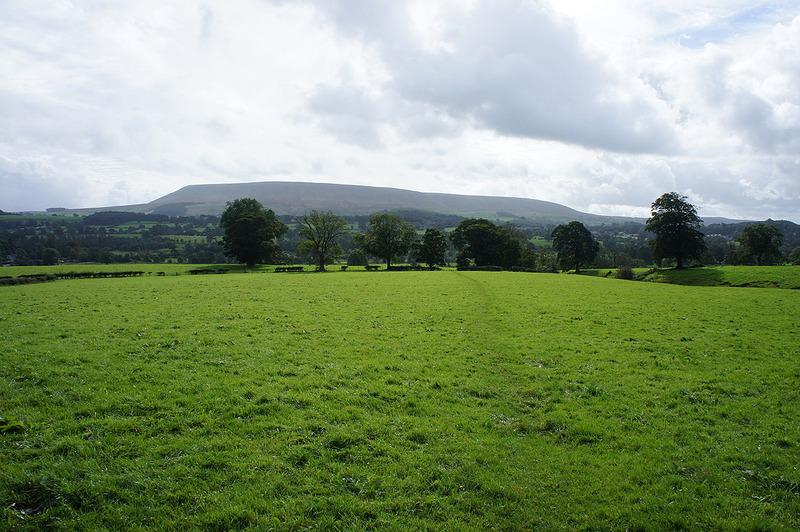 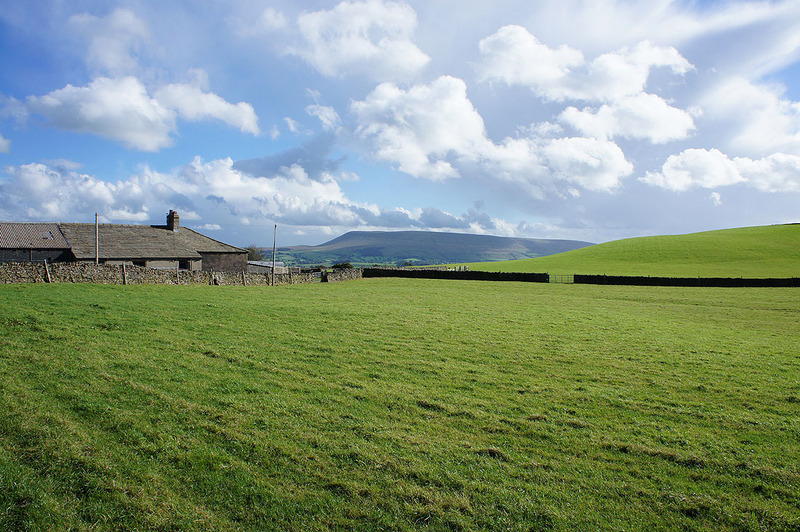 A last shot of Pendle Hill as I walk along the road back to..